White Eagle is a new release from author Paul Anthony. 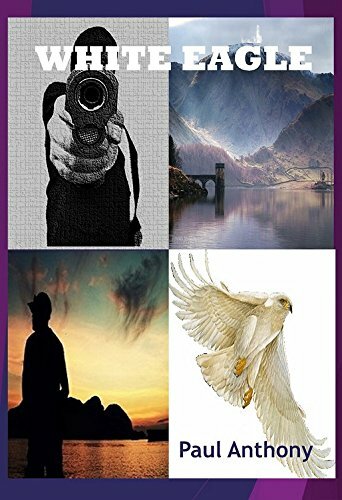 White Eagle is about a Cumbrian detective working with the Special Crime Unit and various elements of British Intelligence. SYNOPSIS – When a desperate young man is forced out of his home in the mountains, he claims ‘Qisas’ and sets out on a bitter journey of revenge. As he terrorizes a continent with his wicked plan, the evil megalomaniac becomes an iconic figure synonymous with fear and dread. In a fast-moving, white knuckle ride, the unknown assassin leaves police and intelligence services reeling from the sheer pressure of relentless attacks. 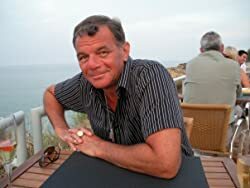 Paul Anthony is a retired detective from Cumbria in the U.K. He’s an independent publisher who has written both television and film scripts either on my own, or with the award winning screenwriter Nick Gordon whose full length feature film ‘Hunted’ hits the screens in 2016/2017. Paul Anthony is a pseudonym. Born in Southport, Lancashire, he’s the son of a soldier whose family settled in Carlisle before he joined Cumbria police at the age of 19. As a detective, he served in Cumbria CID, the Regional Crime Squad in Manchester, the Special Branch, (Counter Terrorist Command) and other national agencies in the UK and elsewhere. He has an Honours Degree in Economics and Social Sciences, a Diploma in Management and a Diploma in Office Management. He’s a former winner of the Independent Authors Network Featured Author Contest and was a Featured Author at the ‘Books without Borders’ Event in Yonkers, New York, 2012. In earlier years he was a Featured Author at the Frankfurt Book Fair, Germany.